FREE DELIVERY on orders over £100! No reviews. Be the first and leave a feedback. PokerPadz® is the first green felt, poker table-shaped mouse pad made from the same materials used on casino poker tables around the world. Just large enough to hold a couple of stacks of chips – it’s great for use with any computer in the office, the dorm or the family den. Poker players of all ages will love to display the miniature poker table as a show of loyalty and love of poker. This mouse pad measures 14in. L x 8 1/4in. W with a 1/2in. bumper around the perimeter of this mini-table and screened with the PokerPadz® Poker Logo. 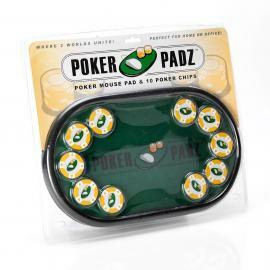 Also included are ten 11.5g yellow and white poker chips with personalized PokerPadz® inserts. 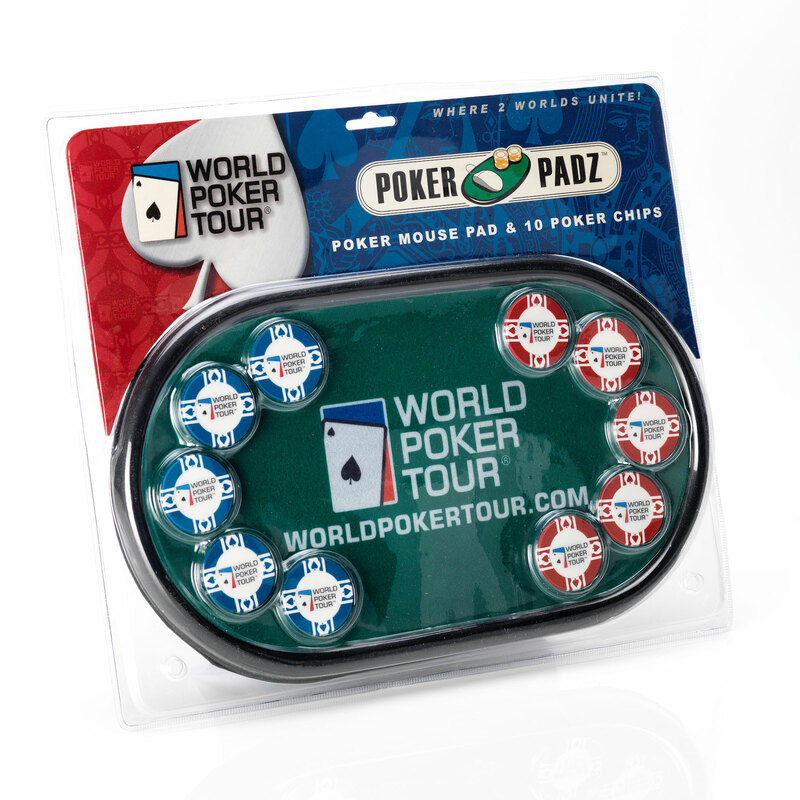 Made from the same materials used on casino poker tables around the world, PokerPadz® feature an 8" x 14" felt covering a soft foam pad, edged by a vinyl bumper in the oval shape of a poker table. It comes complete with 10 chips to shuffle. 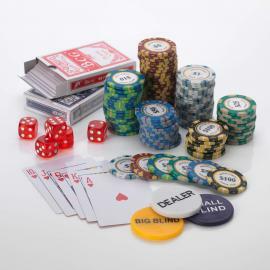 Especially for the online player, the mouse pad gives the sensation of being right there in the action of the casino, including the sound of clicking poker chips while playing—something very integral to the poker experience. 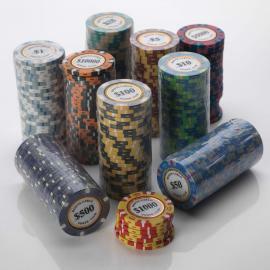 “PokerPadz® allows the online player to shuffle, stack, roll and even bounce their poker chips while deciding if ‘count chip69’ is bluffing or really does have the nuts,” says Kevin King, of K & K Novelties, LLC. Mouse is not included.